Treat your lips to lasting nourishment with Elizabeth Arden Eight Hour Cream Limited Edition Lip Protectant Stick SPF15, the bestselling formula housed within packaging designed by muralist J. Goldcrown. Renowned for its amazing healing and moisturising properties, the lip balm is enriched with emollients, protective sunscreen and Vitamin E to defend against damage caused by environmental aggressors whilst replenishing vital hydration. 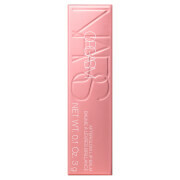 The handy stick is perfect to take with you anywhere to treat dry, chapped lips on the go. Expect soft, supple and silky-smooth results. Petrolatum, Ricinus Communis (Castor) Seed Oil, Ozokerite, Glyceryl Rosinate, Ethylhexyl Dimethyl Paba, Cetyl Lactate, Lanolin Oil, Myristyl Lactate, Benzophenone-3, Cetyl Acetate, Euphorbia Cerifera (Candelilla) Wax/Candelilla Cera/Cire De Candelilla, Copernicia Cerifera (Carnauba) Wax/Cera Carnauba/Cire De Carnauba, Myristyl Alcohol, Acetylated Lanolin Alcohol, Beeswax/Cera, Alba/Cire D'abeille, Caprylyl Glycol, Glycine Soja (Soybean) Oil, Methylstyrene/Vinyltoluene Copolymer, Microcrystalline Wax/Cera, Microcristallina/Cire Microcristalline, Parfum/Fragrance, Tocopherol, Zea Mays (Corn) Oil, Bht, Citral, Citronellol, Geraniol, Limonene, Linalool, Phenoxyethanol, Iron Oxides (Ci 77491, Ci 77492, Ci 77499), Titanium Dioxide (Ci 77891)., Contains/Contient/Enthält/Contiene/Contém:, Benzophenone-3/Benzofenona-3. It really doesn't matter what the package looks like - the 8h series is always a safe bet. I have been using this lipstick for years before applying lipstick primer and makeup, and will keep repurchasing it in the future as well. 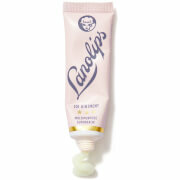 it does not leave your lips greasy or dried out as other products might. and it is perfect under makeup. 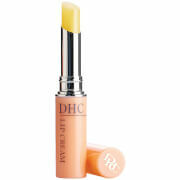 This is the best lip protectant ever, I love it!